The thing is, time is finite. You’re never going to have enough of it and you’ll only realise how utterly important it is and how much of it you wasted when it’s too late to do much about it. Does that however mean you should let it all go, waste opportunities and moments, miss your cue? Of course not. Make the best of what you have, carpe it all, be selfish and ruthless in your quest to make as many glorious memories as possible. This is my word to you, this Friday evening. Take it and be blessed. It’s the weekend, tap dancers, and here are a few things to help you get into it. 1. This illegal photo of Naomi Campbell I stole from the legitimately great Instagram account of stylist extraordinaire, June Ambrose. How is Naomi still even allowed to look like that? Who authorised this? 2. 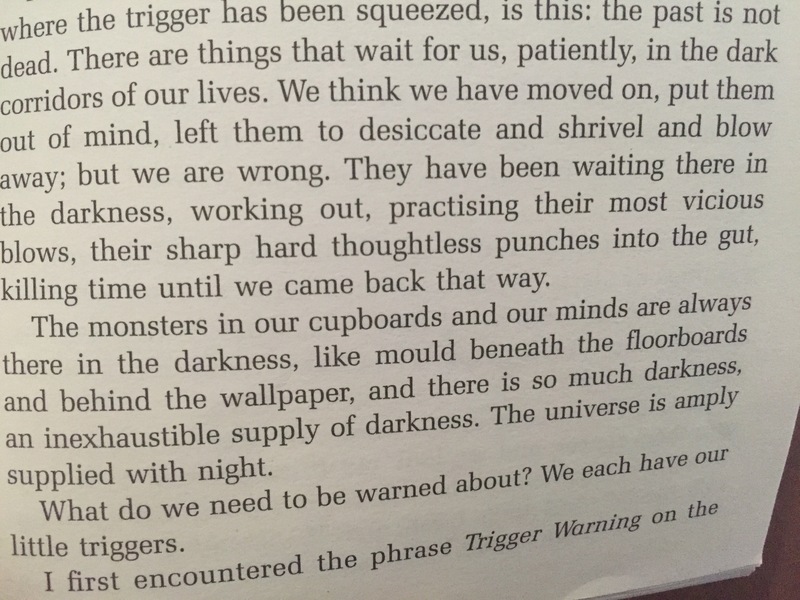 This quote from my weekend read, Neil Gaiman’s Trigger Warning because it’s terrifying and true- “the universe is amply supplied with night”– to remind you to fight back, to be an extra bit of much-needed light this weekend. 3. Finally, go and listen again to Awake My Soul by Mumford & Sons because it’s still great, and always will be and should remind you that “in this bodies we will live/in these bodies we will die/where you invest your love/you invest your life”. Today’s featured image is a perfect cup of coffee, because sometimes seizing the day etc is exhausting and God knows that, so He gave us coffee.